South Africa’s President Jacob Zuma has sacked country’s Finance Minister Pravin Gordhan after days of speculation that rocked the country’s markets and currency. Mr Gordhan will be replaced by Malusi Gigaba, said a statement issued late on Thursday by the president’s office. Earlier this week, the president recalled Mr Gordhan from planned events in the UK. “I have directed the new ministers and deputy ministers to work tirelessly with their colleagues to bring about radical socioeconomic transformation and to ensure that the promise of a better life for the poor and the working class becomes a reality,” President Zuma’s statement said. Last October, Mr Gordhan was charged with fraud, but the charges were later dropped. Many senior ANC figures also opposed the finance minister’s removal. Meanwhile, the Democratic Alliance, South Africa’s main opposition party, said it would call a vote of no-confidence in President Zuma in parliament. Mr Gordhan’s recall from the UK caused South Africa’s rand to lose nearly 5% of its value against major currencies earlier this week. 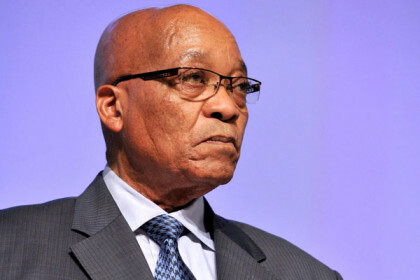 Pressure has been growing on Zuma to step down amid numerous allegations of corruption. He denies the claims.